Online Shopping provides multiple benefits like saving money, easy comparison, convenience etc. Due to various advantages online shopping trend is increasing In India. Do you carry out online shopping? Do you want to save more money while shopping online? If yes, here are 10 Tips to save more money while shopping online. Always use discount coupon or promotional codes while shopping online. Discount coupon or promotional codes can save you more money. Couponzguru, Coupondunia, Groupon are some of famous websites from where you can find these discount coupons and promotional codes. Cash back is incentive offered by website to buyers, whereas buyer gets refund of money in cash after online purchase. Try to use cashback facility to save more money. Gopaisa, Cashbackindia, Cashkaro are some famous website offering cashback facilities. Reward point scheme is offered by credit card companies. You can accumulate reward points in your account, reward point is offered on every credit card transaction. This reward points can be redeem to purchase other products at much lower rate. Today we find dozens of online shopping sites offering discounts, it create confusion that from where to do online shopping. This confusion can be cleared by using price comparison websites like mysmartprice or phonecurry. Once you have found out product you want to purchase do set price alert. Price alert facility will send you email or SMS when price of said product drops. This will give you additional benefit to save more money. Majority of website provide facility of setting up price alert. Black Friday or Cyber Monday is popular day in USA for online shopping. These days provide additional opportunity to save more money as companies will offer a good amount of discount. 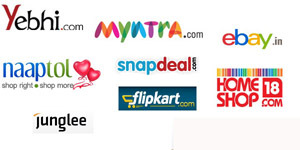 If you are in India you can use GOSF (Great Online Shopping Festival) for online shopping. Online stores offers big discount during festival season like Diwali and Christmas. Take advantage of festival season and purchase the product during festival seasons. You can use social networking website to save more money. Follow twitter users like @DealsForGeeks to grab online deals at discounted price. Always look for free shipping option while making online purchase. Many websites provides shipping facility at no extra cost. Always look for alternative websites while making online shopping. Today we have dozens of online store providing discounts and offers. Don’t stick to one website for online shopping. If you like this article, please share it on facebook and twitter. This would be special gift which you would be giving to our blog.